Not the "right way" to do it, but way simpler. Bridge Constructor Portal Level 60 (Brain Transplant) Convoy Walkthrough, Cheats, Solution for Android, iPhone, iPad, iPod and PC (Steam). 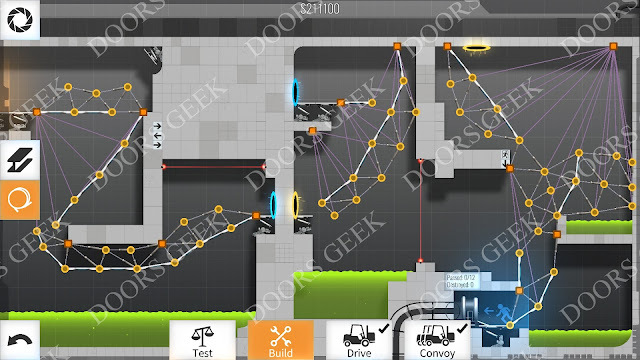 Bridge Constructor Portal Level 59 (Loop de Loop) Convoy Walkthrough, Cheats, Solution for Android, iPhone, iPad, iPod and PC (Steam). 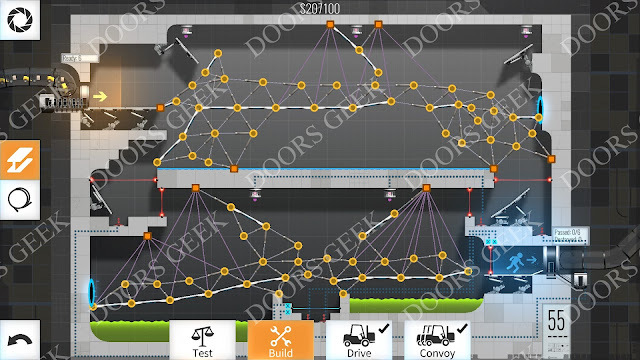 Bridge Constructor Portal Level 58 (Small Bang for the Buck) Convoy Walkthrough, Cheats, Solution for Android, iPhone, iPad, iPod and PC (Steam). Bridge Constructor Portal Level 57 (Six-story Story) Convoy Walkthrough, Cheats, Solution for Android, iPhone, iPad, iPod and PC (Steam). Don't make the middle-right bridge to strong, it should break after the first cart passes it. 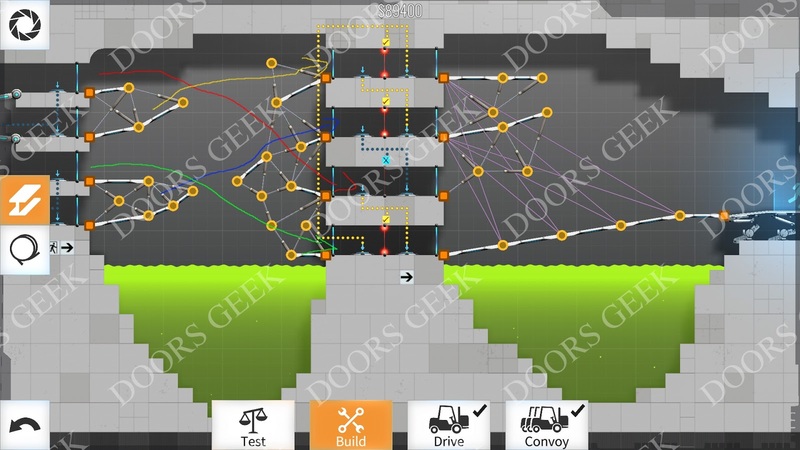 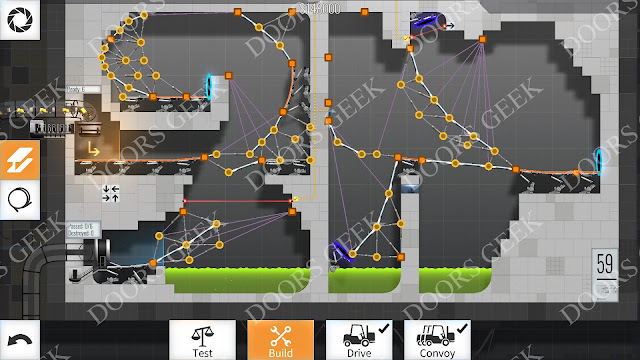 Bridge Constructor Portal Level 56 (Incredibuttons) Convoy Walkthrough, Cheats, Solution for Android, iPhone, iPad, iPod and PC (Steam). 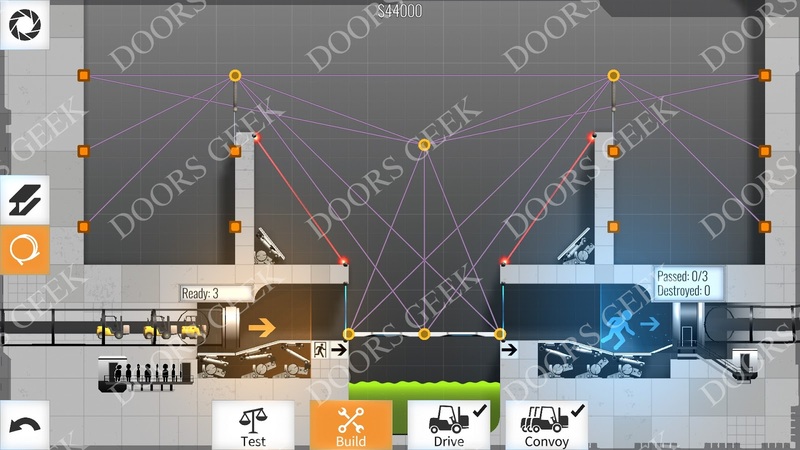 Bridge Constructor Portal Level 55 (Bouncy Cubes) Convoy Walkthrough, Cheats, Solution for Android, iPhone, iPad, iPod and PC (Steam). Bridge Constructor Portal Level 54 (Train your brain) Convoy Walkthrough, Cheats, Solution for Android, iPhone, iPad, iPod and PC (Steam). Bridge Constructor Portal Level 53 (Crossings!) 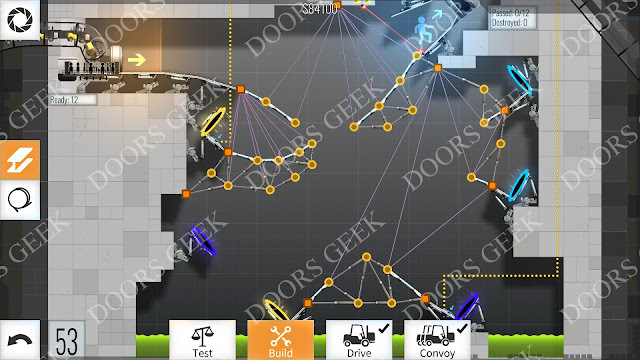 Convoy Walkthrough, Cheats, Solution for Android, iPhone, iPad, iPod and PC (Steam). 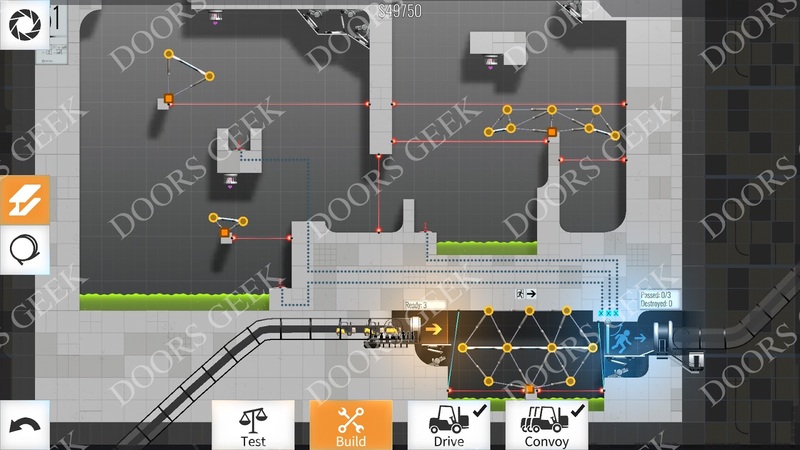 Bridge Constructor Portal Level 52 (Backwards) Convoy Walkthrough, Cheats, Solution for Android, iPhone, iPad, iPod and PC (Steam). 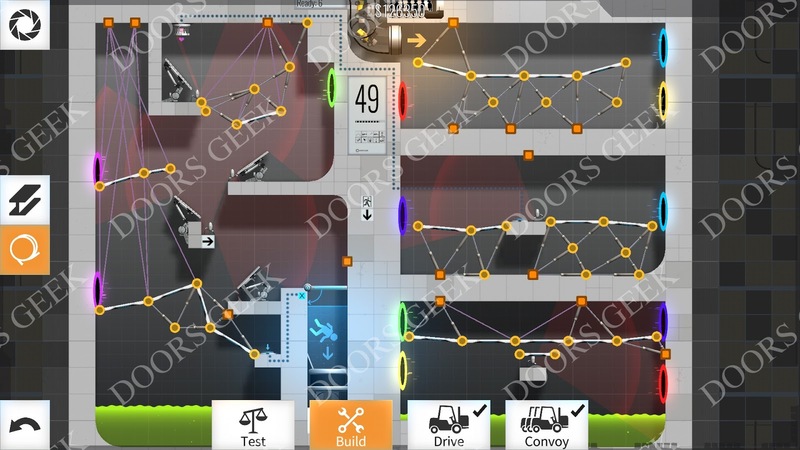 Bridge Constructor Portal Level 51 (Balanced) Convoy Walkthrough, Cheats, Solution for Android, iPhone, iPad, iPod and PC (Steam). I haven't had the patience to actually finish the convoy solution for this one, every time i tweaked some part it broke other parts. 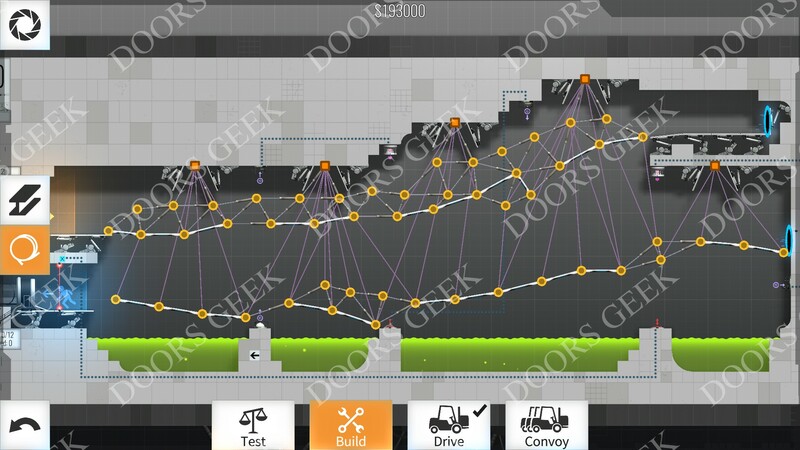 But the design is the right one, just need a bit of patience to tweak it the right way. 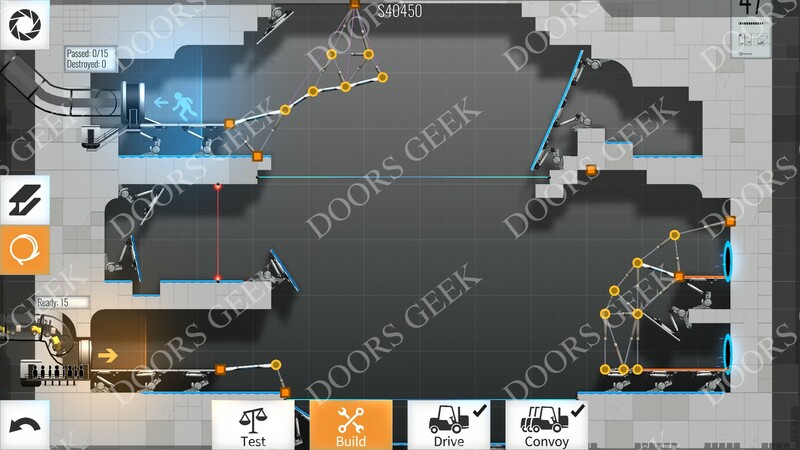 Bridge Constructor Portal Level 50 (Long Way Home) Convoy Walkthrough, Cheats, Solution for Android, iPhone, iPad, iPod and PC (Steam). Note: I disabled the bottom right turret simply by building a beam above it. It drops and knocks it off when the level is started. Bridge Constructor Portal Level 49 (Turretville) Convoy Walkthrough, Cheats, Solution for Android, iPhone, iPad, iPod and PC (Steam). 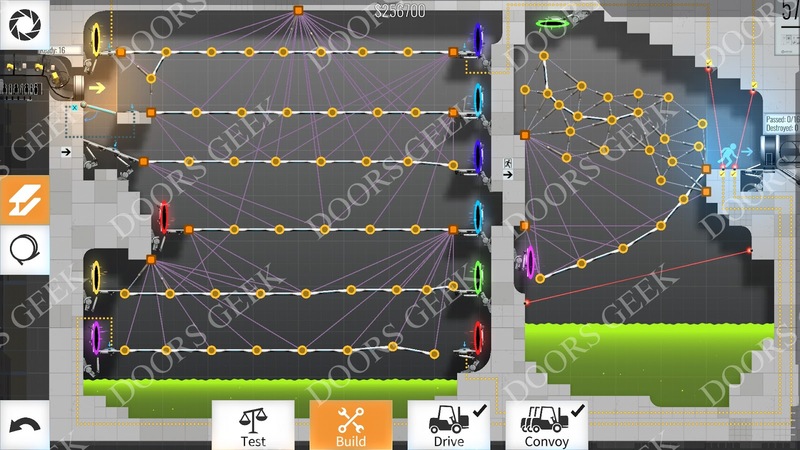 Added those 2 vertical beams near the red teleport to delay the carts until the cube pushes the button. 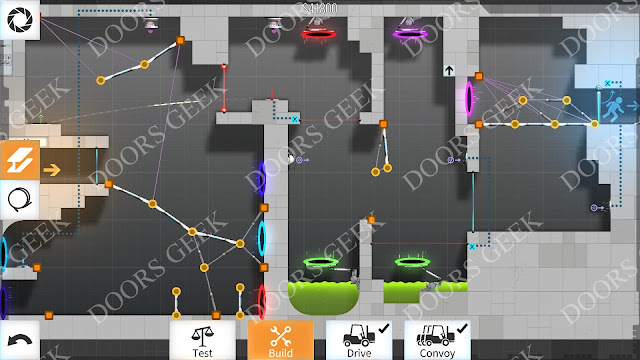 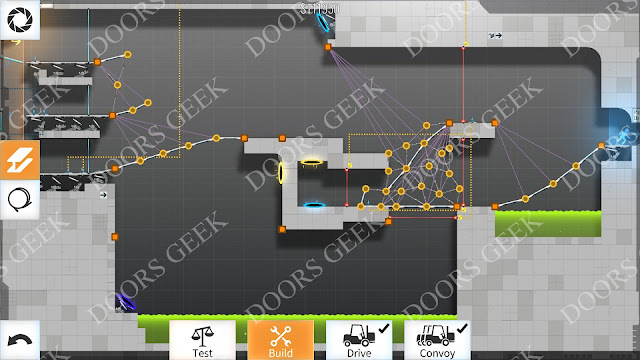 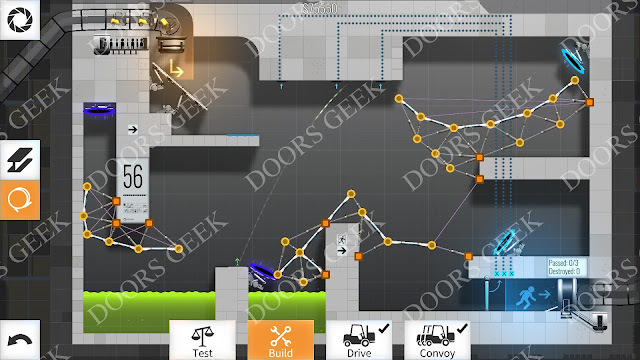 Bridge Constructor Portal Level 48 (Control Center) Convoy Walkthrough, Cheats, Solution for Android, iPhone, iPad, iPod and PC (Steam). Bridge Constructor Portal Level 47 (Bouncebouncebounce) Convoy Walkthrough, Cheats, Solution for Android, iPhone, iPad, iPod and PC (Steam). 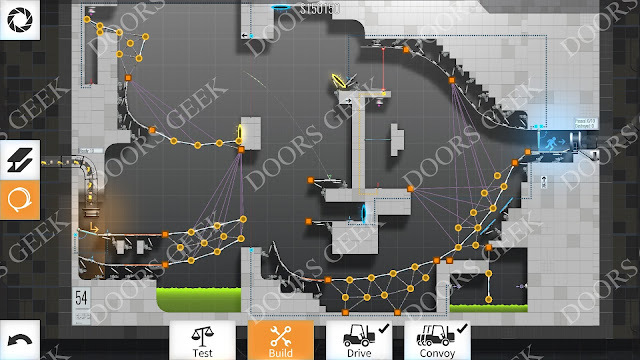 Bridge Constructor Portal Level 46 (The Braid) Convoy Walkthrough, Cheats, Solution for Android, iPhone, iPad, iPod and PC (Steam).